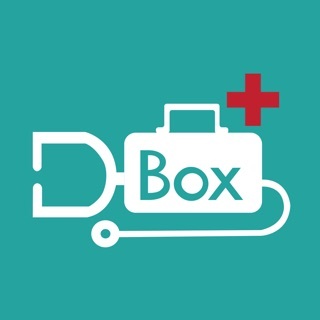 DawaiBox aims to revolutionize the way healthcare works in India. We are continually engaged in the process of bringing on-board doctors, pharmacies, diagnostic centres and hospitals in order to become the one stop shop for all your healthcare needs. DawaiBox allows you to manage all your healthcare records in the palm of your hand- be it prescriptions from your family doctor or specialist, reports from your diagnostic centre or even a voice note from your doctor carrying a brief explanation of her diagnosis for your condition. Not only this, but you can also look for the most trusted and recommended doctors, diagnostic centres and pharmacies from your location. So now, you no longer have to worry about your parents living in a different city, you can monitor their conditions right from your phone and ask your nearby specialist for a second opinion. Likewise, you no longer have to worry about carrying your child's medical file whenever you travel- its right there in the palm of your hand ;) You can also share your records with a doctor ergo, no need for follow up visits with the doctor to confirm the results from your lab report. -> Search for the top doctors, pharmacies and diagnostic centres near you- this is currently available in Mumbai. You can filter by specialization, distance from your location, rating, NABL accreditation et cetera. -> Selectively share your medical records with your doctors -> share your test results at the click of a button. -> Set Medicine Reminders for Prescriptions: You can now set reminders for all your medicines: thus ensuring you miss no medicines. -> Never miss your child's vaccination dates again : Create a vaccination chart for your kid within the app and get reminders when the vaccine is due.All this and much much more for free! DawaiBox search service is currently only available in Mumbai. We’re growing quickly – so if we’re not in your city yet, check back soon! Just wish the app would let schedule appointments as well!